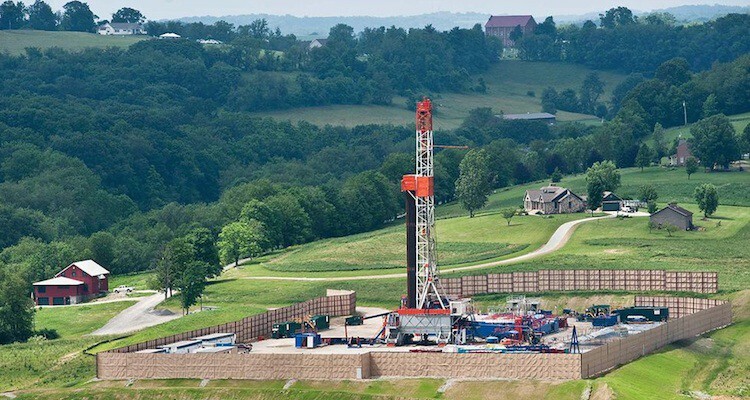 Marcellus Shale development is a $42 billion industry in Pennsylvania that uses a lot of water. When the development industry began in 2004, no one thought too much about using water for horizontal drilling and fracking. But since then, there has been a heated debate churning on what to do with the flowback that results from drilling since it presents environmental challenges to producers, concerns for landowners, and demands on state regulators. He got to work on creating one that differed from the rest, resulting in 100% remediated water. Grose’s approaches to clean the frac water chemically treat and filter it until it is clean enough again for continued use in the wells. He can also clean it further, so it is clean when being redeposited back into the environment after the well work is finished. His company performs this remediation in multiple ways. First, his company has created what they’ve defined as “the pad of the future,” a grouping of 1 million gallon frac flowback tanks allowing flowback to be treated right at the well site (rather than having it shipped offsite for remediation or disposal). Second, they’ve created the industry’s first mobile lab solution, a truck-trailer bed lab that cleans and recycles the water while it is being used, pumping it through a cleaning manifold set up on the site. Third, Comtech has also pioneered a number of “hub-and-spoke” approaches that use a centralized flowback recycling facility in areas where multiple well heads are being developed and drilled in a close proximity to each other. By using the hub-and-spoke approach a driller can lower the pad costs on individual wells. Transportation of flowback frac water is a constant concern of communities where wells are drilled, and are one of the largest costs associated with fracking. Further, water usage in fracking is a major concern. It’s estimated that with its 130-year natural gas supply under our feet, over 3,000 wells will be drilled here before the end of this decade with many more to follow in years to come. Each well uses about 4.4 million gallons of water, and about 12-20 million gallons of additional water are expended each day. Without remediation and recycling, the development could cause quite a problem in keeping water available for everyday use. Grose adds, “The shale development industry is still in its infancy. But, there is a movement now, especially with growing interests to keep things environmentally clean, to use our (Comtech) technique throughout the industry. In fact, we’re now building a holistic solution that will ensure clean and reused water throughout the entire life of each well from conception through closing.” He said he feels his approach should keep Comtech operating for many years to come.